Calgary, Alta – Formerly known as the Western Canada U16 Challenge Cup, the rebranded 2017 WHL Cup began yesterday at Winsport Arena in Calgary. Team Saskatchewan took on Team Alberta while Manitoba faced British Columbia in the opening day of the tournament. 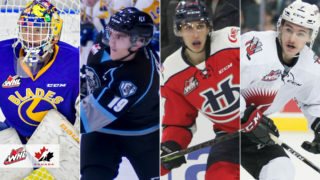 As previously reported on Saskatoonblades.com, the Blades have 7 prospects participating in the tournament, the most of any team in the WHL. 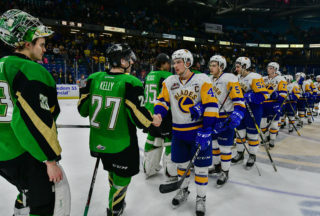 The first day of action saw Alberta explode offensively, downing Saskatchewan 8-3. 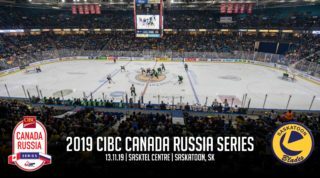 Manitoba edged British Columbia 3-2 in the other match of the day, with victory only coming after a shootout. Notable performances on day one from Blades’ prospects included defensemen Alex Ozar who involved himself in the scoring of all 3 of Saskatchewan’s goals against Alberta. Ozar collected 3 points (1G, 2A) with all three points coming on the power play. Centre Kyle Crnkovic, playing for Alberta, picked up one assist in his side’s 8 goal outing. Koen MacInnes starred in net for British Columbia as he held Manitoba to 2 goals across regulation and extra time. Making 22 saves from 24 shots, MacInnes finished with a healthy .917 save percentage. 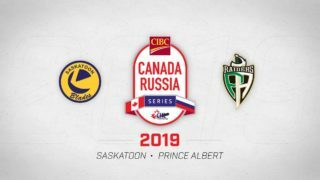 Day two of the WHL cup is underway later this afternoon with Saskatchewan slated to do battle with Manitoba at 3:00pm Mountain Time while Alberta will meet British Columbia at 6:30pm Mountain Time. 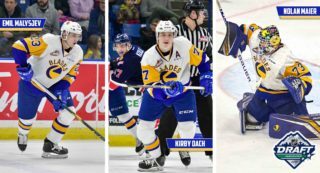 The next home game for the Blades is Tuesday, October 24th versus the Victoria Royals. Click here for tickets or call 306.975.8844 to book your group night or experience package!